History of Slavery in Delaware. Diane Clarke Streett, a member of SsAM, is one of the authors of this six-page history. In 2010, she was sworn in as the second black woman to serve as a Delaware Superior Court judge. History of Wilmington Garden Day. An annual tour of gardens and homes to benefit charities in Wilmington, Delaware. St. Andrew’s, a predominantly white congregation was founded in 1829. St. Matthew’s, a predominantly black congregation, was founded in 1846. The two had a long history of shared experiences and ministry, beginning with worship as two different churches in the same building. Both churches had a strong commitment to social justice. St. Andrew’s provided meals and shelter for the homeless. 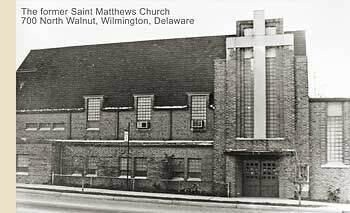 St. Matthew’s founded Wilmington’s first job-training center and a program that guarantees college admission and tuition to 48 middle school students from Wilmington’s east side. Together they established a ministry for the homeless called Sojourner’s Place. In 1991, St. Andrew’s approached St. Matthew’s about “doing things together.” This began with joint services on Palm Sunday. Conversations between the two rectors moved to conversations between the vestries, and, in 1993, St. Matthew’s informed St. Andrew’s that its members were open to more in-depth conversation about forming a New Covenant Community. All agreed such a step must bring both witness and strength to Wilmington. They created a new entity “grounded in Christian fellowship, racial diversity, and advocacy for justice.” The new entity was admitted to the diocese as a parish in 1996. Ten years later, in 2006, we celebrated our 10th anniversary with a banquet, a walk back to the old St. Matthew’s, and with many other festivities and services. 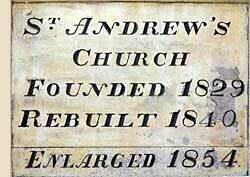 Today the combined congregation worships in the church St. Andrew’s built in 1840 to replace an earlier structure destroyed by fire. Although some alterations have been made, and parish and church school facilities added, the original building has not been greatly modified architecturally. Its tiny churchyard is the only remaining burial spot in center city Wilmington. The brief history seen above appeared in the 1999 calendar published by the National Episcopal Historians and Archivists. 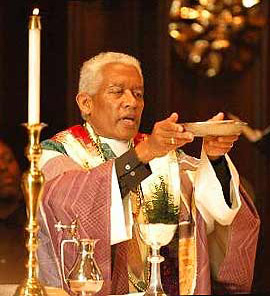 In 1997, the Episcopal Church of Sts. Andrew and Matthew formed a task force to identify, explore, and recommend options for the development of the five-story vacant building located at 701 Shipley, which it owned. In 2010, the studio living spaces began being rented at 701 Shipley to artists and art professionals.